You can only try to find your way back to whole. May, an International Medical Corps Monitoring and Evaluation Manager, was in high school during the 2003 U.S. invasion of Iraq, but she says it was in the aftermath that things really started to break down. Through a wave of sectarian violence that pulled the country apart from the inside out, the conflict began to invade people’s lives in much more intimate and everyday ways. For example, when dead bodies started showing up on the road May took to school—bodies that no one bothered to cover or remove. “This is something you never forget,” she says. Soon, the litany of explosions, kidnappings and assassinations became so commonplace that a fog of numbness set in. “Our threshold of endurance went up,” says May flatly, and I sense the deep chasm between surviving and thriving. 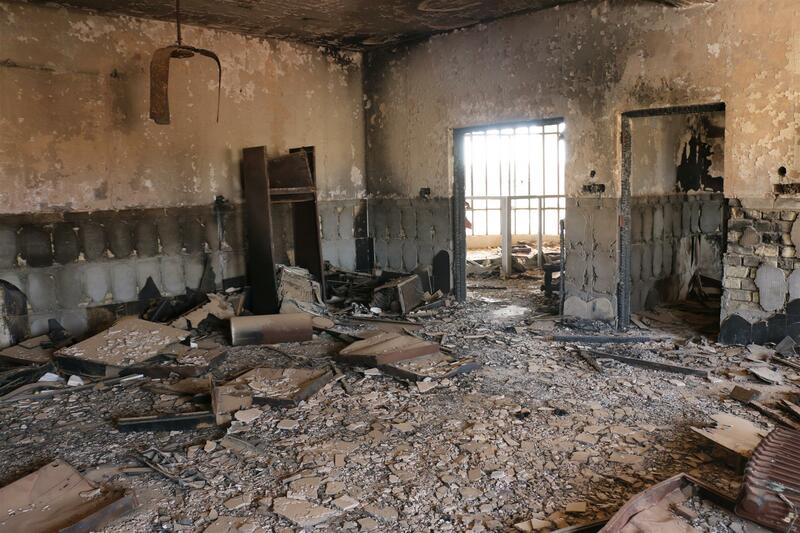 A damaged health facility in Iraq. Born and raised in Baghdad to a schoolteacher mother, May studied nuclear engineering in college and planned to become a professor. She calls that unfulfilled dream “the best thing that never happened to me.” Instead, an International Medical Corps employee recruited her in 2011, and her life changed. May recalls, vividly, taking part in International Medical Corps’ emergency response to the 2014 ISIS crisis. She says the crisis, which “took more than three years of life in Iraq,” happened so quickly that no one saw it coming. Hundreds of thousands of Iraqis fled en masse, leaving their homes with nothing but their loved ones in tow—if they were lucky. International Medical Corps mobilized mobile medical units to reach those seeking relief in displacement camps and compounds. 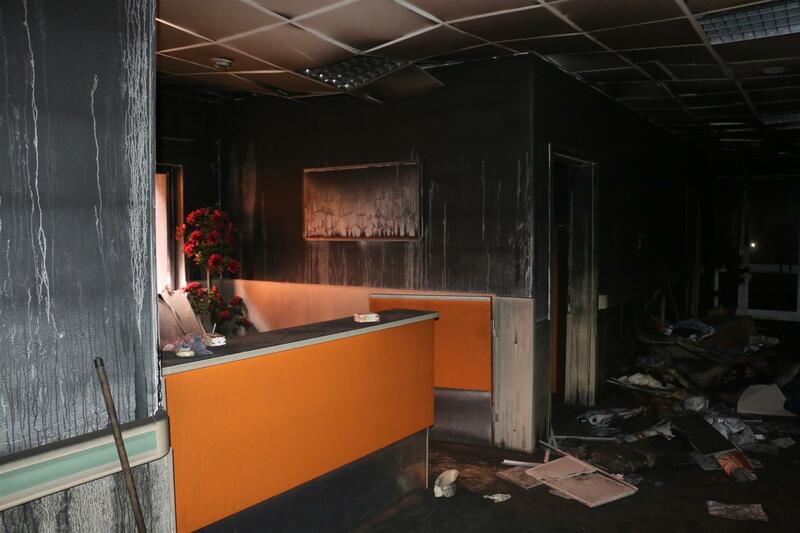 May recounts the blistering heat, the persistent chaos and the magnitude of unmet needs. “We were going there, seeing people suffering so much, people who had lost everything,” says May. “More than scared, I felt helpless.” She describes tents “you couldn’t stand in or close” and aggression born of sheer desperation. “It makes me sad because I know that these people are us. They are us if we’ve gone through this.” The simultaneous simplicity and wisdom of her statement startles me. The frantic struggle for survival calls forth the very best and worst in humans—and none of us are above it. Through our mobile medical units, International Medical Corps was able to reach “many people who had nothing” with lifesaving services, especially those with chronic illnesses. But I can hear how troubled May still is, years later, by all she witnessed during the crisis. In contrast, she lights up when discussing our work today, including two multi-service centers, supported by the Government of Canada. 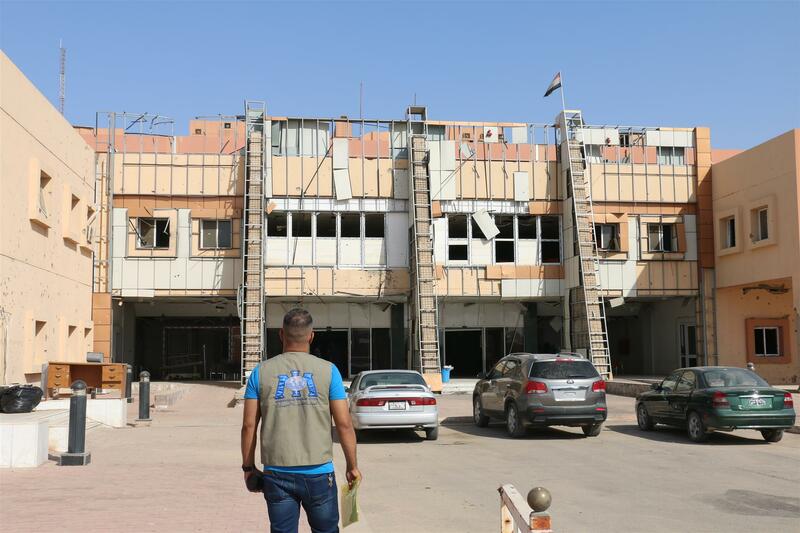 International Medical Corps operates these centers in south central Iraq, along with primary health care centers, a mobile medical unit, and three women’s centers supported by the Office of U.S. Foreign Disaster Assistance. “These have the most effect on people,” she says. For people living in such harsh circumstances—crowded, hot tents barely tall enough to stand up in—the well-stocked and air-conditioned centers provide a much-needed escape and support system. One of the multi-service centers in Fallujah is named Al-Farah, which means happiness—“and it is a happy place for the women,” May enthuses. She acknowledges the time and effort such recovery takes. “I think we will need a lot of generations,” muses May. “Sometimes it feels like we are beyond repair. But hopefully the next generation…” She trails off, and her statement hangs like a question neither of us can answer. Still, she remains wholeheartedly committed for the long road ahead, whatever it brings—and so do we. “We can’t go back, but I hope we can move forward,” May concludes, hope creeping back into her voice. I remind her: because of people like her, we already are. International Medical Corps was among the first international NGOs to establish lifesaving humanitarian programs in Iraq in the wake of the 2003 US-led invasion. We have been there ever since and have assisted those in need in all 18 of the country’s governorates. Since 2014, our efforts have focused on meeting the needs of Syrian refugees and conflict-affected Iraqis in northern and central Iraq as we respond to ongoing violence and insecurity.